We’ve always loved having the birds in the garden but it’s been lovely to see my daughter actively wanting to encourage them into the garden too. She gets so excited when she spots them fly in! She has even named them, which is kind of cute as each sparrow obviously has the same name as she thinks it’s the same one coming in each time! 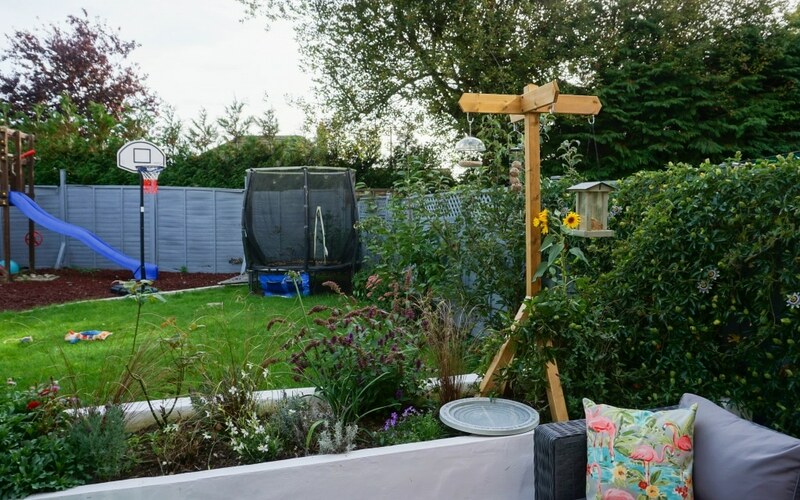 By adding a stylish bird feeder to our new garden renovation we’ve been able to encourage them into the garden more by adding different types of foods to the bird feeder. It’s also important to us that we know what is the correct type of food we should be feeding the birds. 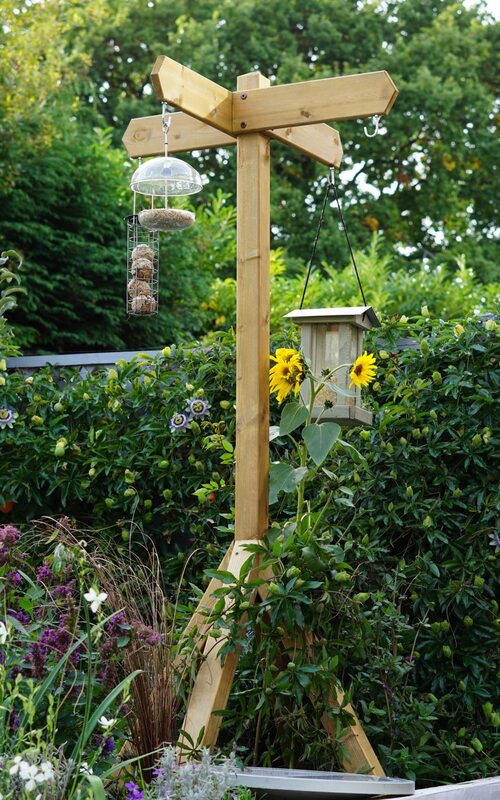 I was sent this amazing Signpost Bird Feeder from the RSPB to add to the garden. I’ve never seen one like this before, they have always been metal ornate ones but this one is super stylish. You could even paint it up with suitable paint if this is more your style. So it got me starting to think about what I could start to feed my birds. 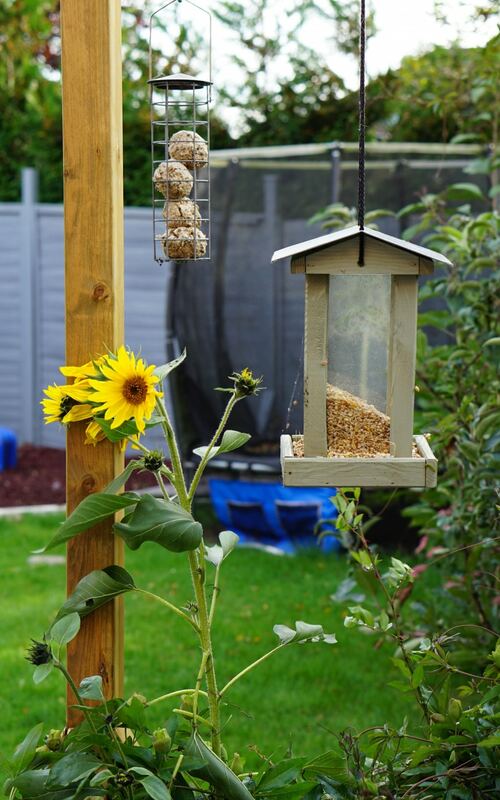 I have always gone for the standard bird seeds but after doing some more research on the RSPB website there is a lot more out there that you can feed the birds. Are there any there that surprised you? There was a few I didn’t realise you could feed the birds and it’s all things that a lot of us have in the house or throw away. It’s nice to know that I could pop these scraps outside for the to eat. I have a spare hook on my signpost bird feeder so I think I will get a little bird table to be able to hang from this. Then I will be able to add these food scraps to this flat area easily. By adding hanging feeders I have offered the birds seeds which come already made up with a selection of suitable seeds. Also fat balls which can be easily made yourself too by adding a fat to a seed mix and allowing it to dry in a shape. These can be hung from anywhere. 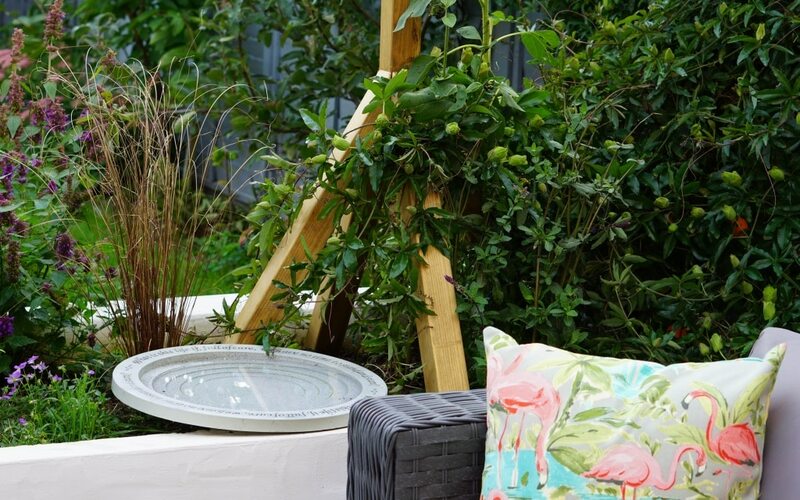 The feeder can be placed anywhere you want, I have placed it quite high up in my planters and resting on the soil. It’s currently standing up to a high winds weather warning so it’s doing well! If you head over to the RSPB website they have so many useful pieces of information for you on feeding the birds, what to offer, packs to purchase and feeders. I am hoping the birds now see all the food out for them and even more start to fly in! *I was sent the signpost feeder for the purpose of this review. However all words are honest and of my own. Such a good idea. I always remember my nan putting out left over rice too. I had no idea about cheese! 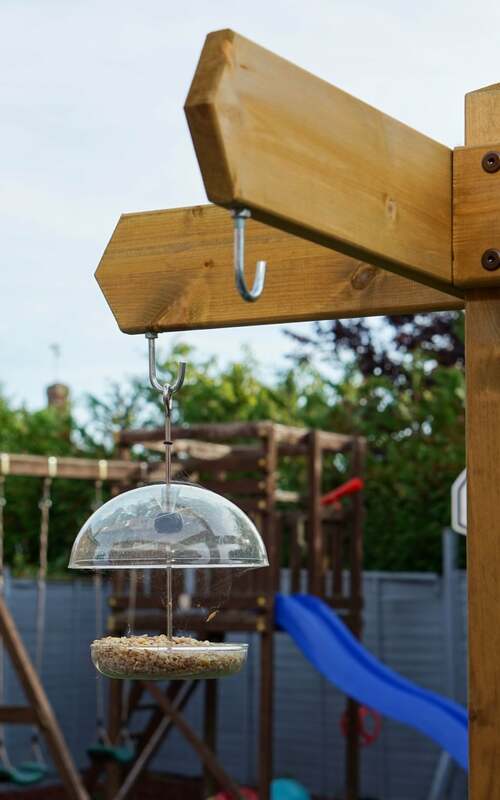 Love your bird feeder. So stylish. Glad it helped, so surprising what they can have isn’t it! I know those lucky birds hey! 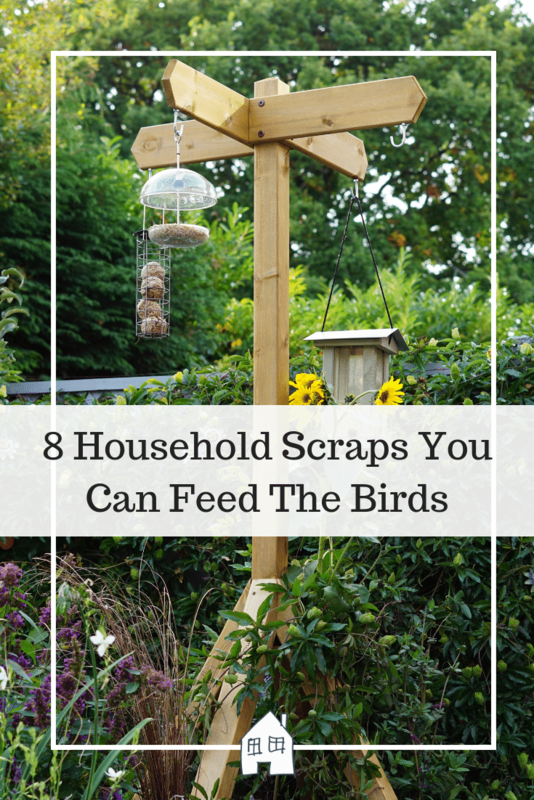 This is a great post, it’s really interesting to know what I can put out for the birds. I love your feeder, it’s super cute! This is really interesting. My dad has been building a few bird houses for feeding birds and I was wondering what we would put in them. I’d like to try using fat balls for them too. yes they will love that! 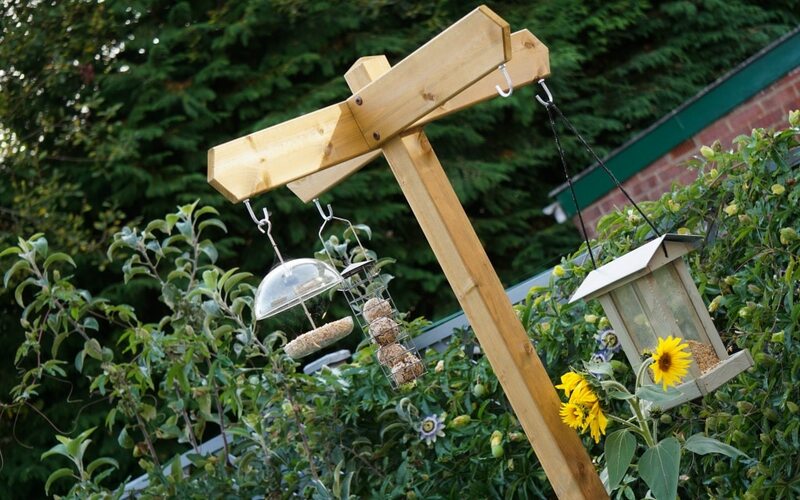 That is an awesome bird feeder, I would love to feed the birds but we have so many cats around us that I’d be just to scared to encourage them into my garden after seeing next door’s cat kill a baby magpie last year. Yes I didn’t either, it was so surprised at what they can eat!